Drought free after 7 years. The U.S. Drought Monitor’s March survey reflected an astonishing turnaround - at least for now - from a severe, prolonged dry spell that reduced irrigation supplies to farmers, forced strict household conservation measures and stoked a spate of deadly, devastating wildfires. A relatively small swath of California’s southern-most region, including most of San Diego County, remains labeled “abnormally dry” on the drought map index, as does a tiny patch at the state’s extreme northern end along the Oregon border. But the midway point of March marks the first time since mid-December of 2011 that 100 percent of the state has been classified as being free of drought, defined as a moisture deficit severe enough to cause social, environmental or economic ills. Conditions were classified as normal across 93 percent of the state. The current picture marks a major improvement from just one year ago, when nearly 70 percent of California was still classified as suffering from moderate to severe drought. What made the difference was one of the wettest winters on record in California - a series of Pacific storms that have replenished lakes and reservoirs and left the Sierra Nevada mountain snowpack, the state’s largest single source of fresh surface water, well above normal. It was just three years ago when the Sierra snowpack had dwindled to virtually zero. Two years later, in early 2017, then-Governor Jerry Brown rescinded a statewide drought declaration following record rainfall. 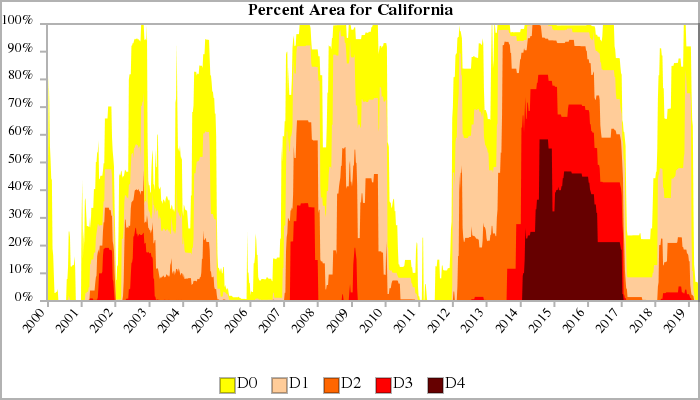 Experts say swings from drought to deluge, or the reverse, are an illustration of variability in weather extremes that California can be expected to experience in an era of climate change. 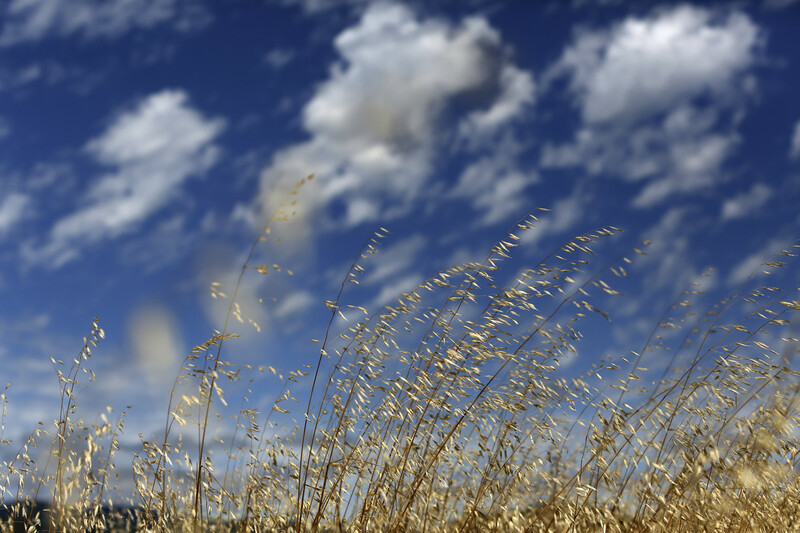 “Dry conditions can easily creep back in,” Jessica Blunden, a climate scientist at the National Oceanic and Atmospheric Administration (NOAA), told the Los Angeles Times. Well-above-average precipitation this winter across the wider U.S. West has helped ease drought conditions throughout much of the region, filling reservoirs and restoring sparse snowpacks but also causing avalanche hazards in Colorado, the Drought Monitor summary said. The report is prepared by experts from NOAA, the National Drought Mitigation Center at the University of Nebraska, the U.S. Agriculture Department.